METAL FIGURES AND SHOPPER BAGS AHOY! thanks again to all who watched the live opening show!!!! i worked on this to get it up fast as possible as i promised :D i am very glad many of you are excited. see what's for sale, what's for auction, and what's what! 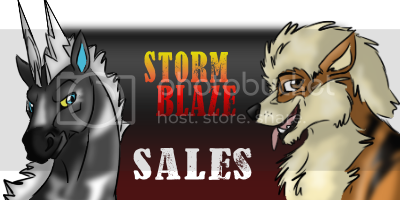 all my sales policies can be read here, along with links to my feedbacks. now for shoppers! pay close attention to notes about condition before purchasing. 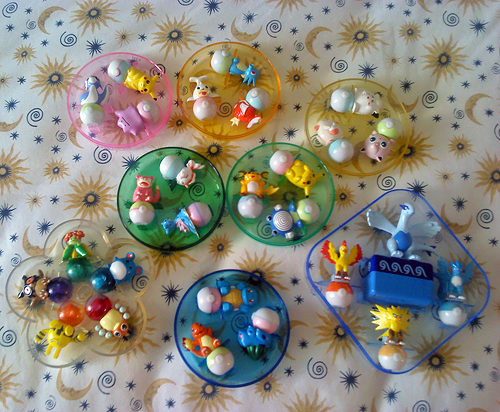 pokemon center shoppers were released every month for five+ years. they were handed to the first 10,000 shoppers of that month, one per customer. miscellaneous items, ahoy! including cool and nifty AG and BW attack cards, a bent-tag discount virizion doll, and a special sparkle-version snivy up for auction. These figures are somewhat of a mystery so if anyone has any additional information, please feel free to enlighten me. Allie owns a Mareep model and she describes them as squishy, hollow plastic; the plastic being a little more flexible than that of a kid. They are stamped with the initials "BP" so we have reason to believe that Branpresto made them. The seller also states that they are "branpresto prizes". The literal japanese name of them is "mini clip" figure [?] and most members call them "grabby" figures due to the fact that you can squeeze their backs to make them "grab" onto things. Now without further adieu, IT'S GA TIME!! Just to let you know that I am not dead, just been demoted to lurker trying to save money and stopping myself from my usual impulse buying. This is kinda a sad post for me as Ive decided that I should ease off from the comm, so that my partner and I can get a move on with our lives, we need the money as I dont have a job, I can't keep spending on my collection anymore v.v I will poke my head in here still to check for Zebstrika merch updates as thats the only pokemon I'm obsessed with getting things of, Ive had to cut down on Arcanines because its too popular and I cant afford to fight other people in bid wars for merch. This also means that I want all my sales items gone! If I get round to it, I will add cards, but I do have a lot so we shall see. Click the banner to warp. But seriously, I'd like to know some of you guys. I don't know where I'm being placed yet, but hopefully I'll be somewhere around Tokyo. I also have to go to training in Nagoya from 25th June, so if anyone's there please give me a shout. And secondly, I still have some things I'd like to clear out of my room before I leave. NOTHING IS OVER $5! So this could turn out very awkward. I gather that I am to make an introduction post. My name is Greg, I'm 20 years old, and that is likely as much as you care to hear about me. I hope that it won't be entirely unbecoming if I just sort of dash into the reason why I am here. See, I was young once, and on a road trip through some hot area of the United States with my family. We stopped at a fast food place for lunch, and lo! They had these fantastic drink cups with Pokemon on the lids. I got a Totodile, and I made fast friends. Looks rather like this little guy on the left. Buying Information: I'm in Canada, and am comfortable covering whatever shipping costs, so if you're in, IDEK, Finland somewhere, that's fine. I'm down with that. I've had quite an amount of packages coming in during the last few weeks, and I'm going to have a good ol' parcel bombardment in the near future too (including a GRAIL/Mini Grail 030). Just yesterday I hit a real GOLDMINE of second-hand Pokémon goods, and I went crazy buying them since they're from the same person and national shipping will be easy (and relatively cheap) to arrange. Ahhh~~ I will have a box of joy coming to me. Anyway, follow the cut for some big figures, turtles, zukans, flats and more! That's all from me this time, I hope you found this somewhat interesting ^__^ I've been having a lot of fun browsing and reading and commenting around this comm. I just recently got trading rights and will probably be making a permanent trades post very soon with wants. Other cards from the auction are for sale, for $5 a piece if anyone missed the auction! If you won anything your total is in here! A Get Larger Than Life and is Anyone Going to Fanime Next Week? So first, a bit of news about Toy Factory plush! My boyfriend got to go on a field trip to Great America(Lucky son of a gun.) 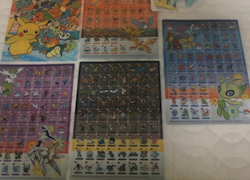 and they had Pokemon prizes! So anyone in the bay area interested in them can go for it! 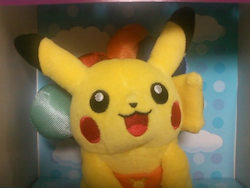 :D In terms of giant plush, he said they had Snivy, Oshawott, Minccino, Zorua, and Pikachu. 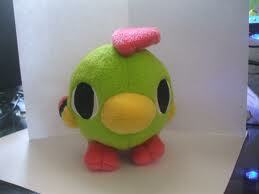 They also had smaller versions of these plush. They also had some older ones like Shaymin and Lickilicky. In other news, anyone going to Fanime this year? I'm always open to meeting new members from around here. :D I'll be dressed as an Autumn Deerling one day and a Shinx on the next. I'll be there with 3-4 of my friends. Speaking of Toy Factory prizes again, my boyfriend did bring me back some gifts. Please post a pic of what you have in the comments and we'll negotiate a price. Also, don't be afraid to sell me something I already have. 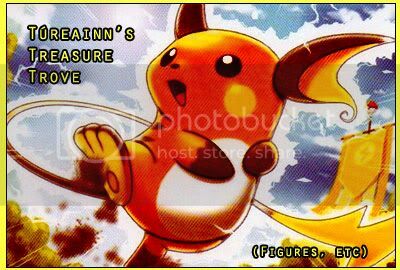 This post would be mostly about an auction reminder for a Latios and Treeko bean. The auction will end on the 23rd at 20:35 GMT+2. Click on the picture to go to the auction. In fact, if someone could even just tell me which roller stamps I don't own yet, that would be very much appreciated! Oh, and expect a collection update post and sales post in the ~not-too-distant future~!! Thanks in advance you guys. It has become increasingly harder for me to find any Groudon merch I don't already have, but I'm hoping people will have some things I want that they're willing to sell. Pictures of the things I want are under the cut! I'm looking for anything Groudon related not listed here that I don't have. So just tell me what you got! That's it from me today. Thanks for reading! New Gets and Collection Update!!!! 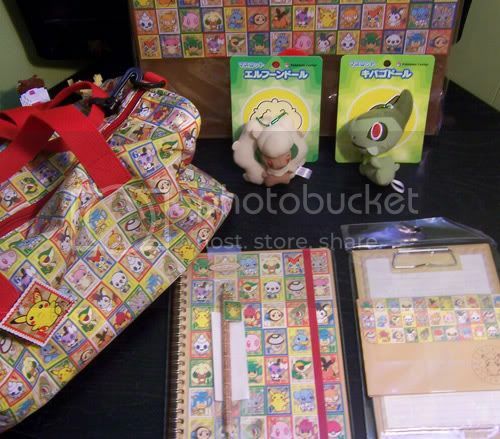 Fire, Grass and Thunder Element type bandannas, promo pokedex clearfiles, and Baloon Pikachu plushie! Click on the pictures to go to the sales/auction entry! 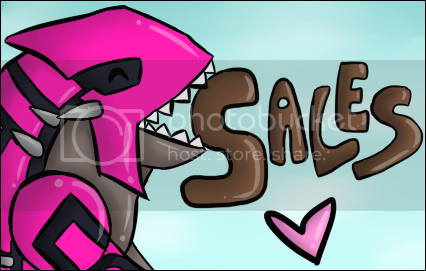 I'd prefer to do trades, since I don't have the extra cash right now, unless people are possibly willing to hold for a week or two... ^^; You can pick something to trade from any post, as long as it's a fair trade! GA update, wants and reminder. I will require shipping payment within 48 hours of posting the spreadsheet, or else negatives will be left. I don't like getting more strict, but I feel it may be needed. I also, have some wants! Also, looking for flats, cloths, clothing anything with Gengar! I would also LOVE the ghost shopper bag. That thing is just too awesome to look at! Also, don't forget about these zukans and charms being auctioned! Auction ends TOMORROW NIGHT AT 10PM EST!!! Click here or the picture to go! Hey guys, I haven't posted on here in a while so I thought that maaaybbeee I should sneak in a little mew get post! So there we are! A short and sweet mew post. I seriously can't explain how adorable this little thing is!! Anyway, I'll be making a few more mew purchases soon and possibly making a collection update in a few weeks! Thank you guys for being so awesome !! 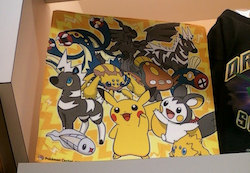 Can you see the Oshawott here?